Listen to Hirth at his myspace website! Hideki Watanabe maintains this informative website. Discography of Hirth's songs, pictures, & more. 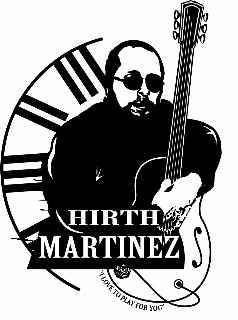 Listen to an exclusive 2 hour interview with Hirth & his songs on Mark Guerrero's radio program. Read more about Hirth! This CD is interspersed with peaceful meditations spoken by Indira and soulful guitar music by Hirth. A rare and beautiful combination. More Hirth . . .
You can also purchase some of Hirth's work here. Robbie Robertson was introduced to Hirth by Bob Dylan which led to the release of Hirth's first two albums on Warner Bros. Read more here. Shadow and Light, Light and Shadow - poetry and writing for reading behind the moon.